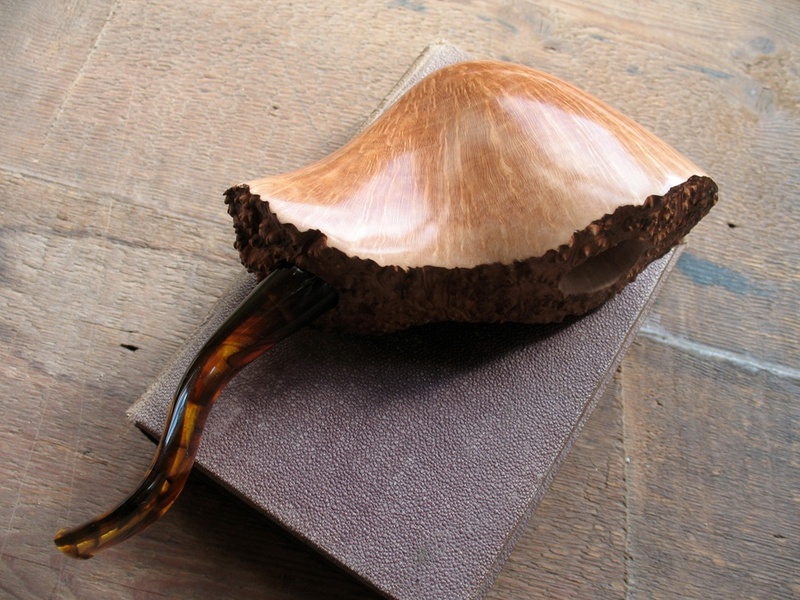 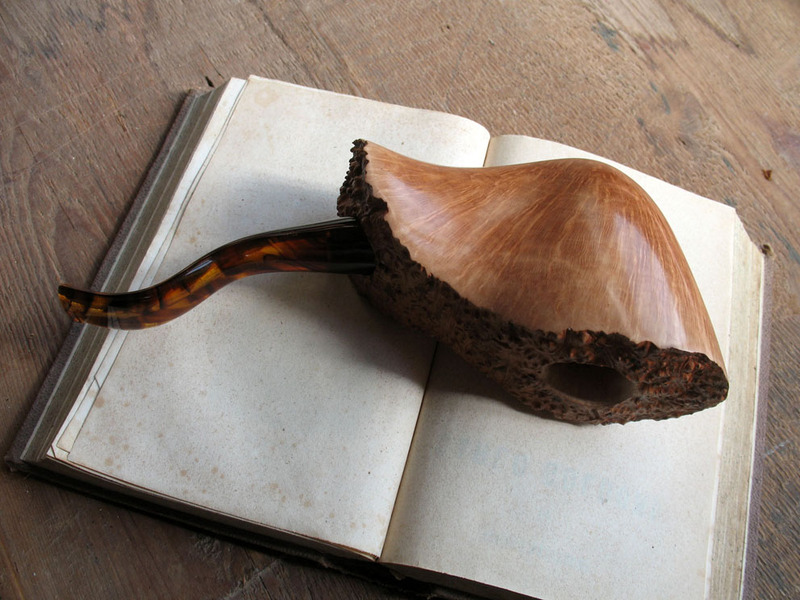 The Mushroom Pipe offers a very particular interpretation of the so-called “ventaglio” shape. 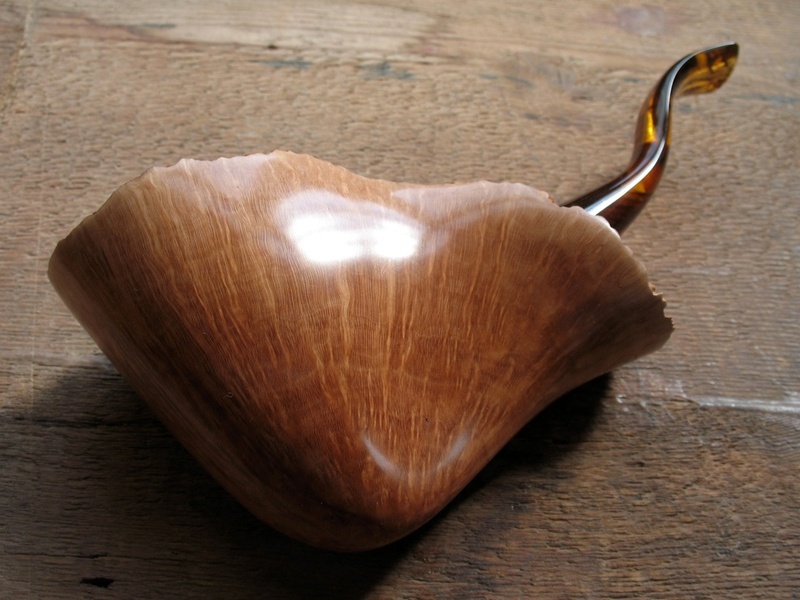 The typical cut is thought to highlight the beauty of the erica arborea from Tuscan as much as possible. 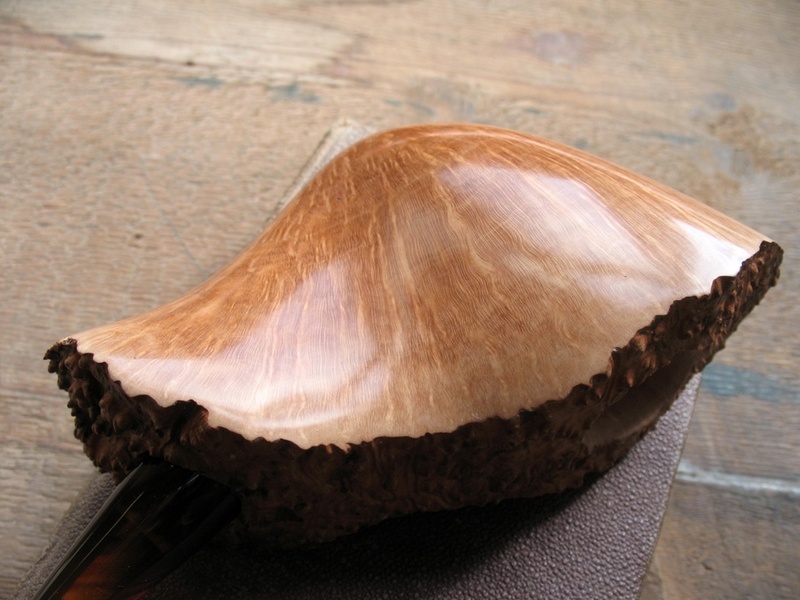 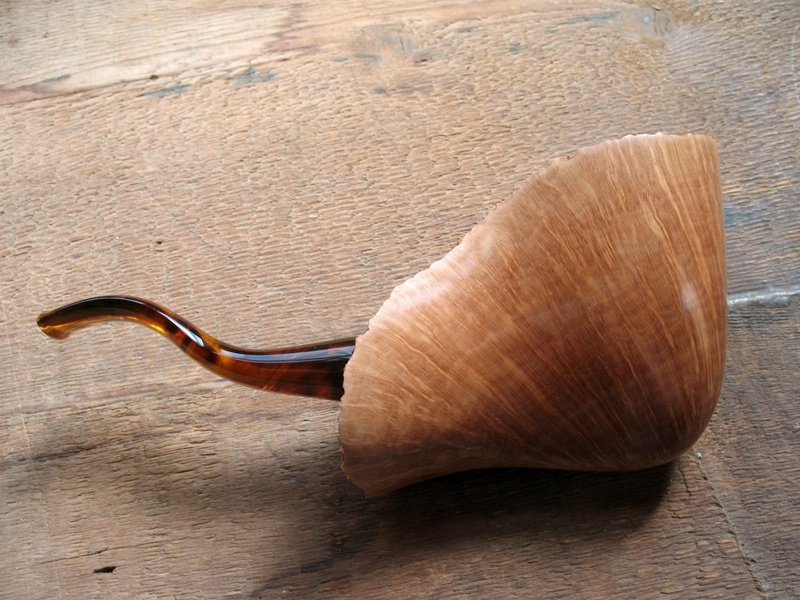 The shiny “plateau”, similar to an upside-down mushroom, shows on the upper side the characteristic wood crust of the briar, and is completed by a handmade amber mouthpiece in methacrylate with double curvature. 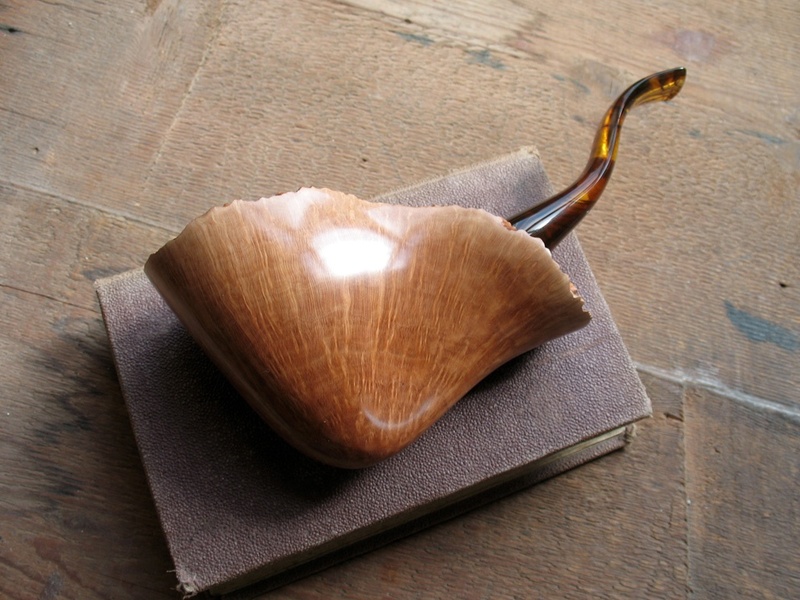 A pipe impossible to recreate.